Venus Brown is an Executive Producer, Owner & CEO of Buddah Brown International – a global entertainment company focused on three specific business sectors: music, technology and fashion. Brown’s well-respected out-of-the-box vision has helped garner massive success for mega-recording artists, led brand / artist collaborations and secure funding for innovative and philanthropic initiatives all over the world. Brown began working in the music industry while still a teenager in the late 1980s hosting his own radio show on WKYS in Washington, D.C. His radio show later led to an internship at the BET (Black Entertainment Television) D.C. headquarters, working in the fields of television production and talent coordination. The internship allowed Brown to write scripts for the BET program Video Soul, where he went on to meet many marquis artist that would help nurture his passion for music production and songwriting. In the early 1990’s, Venus’ first major label release that he co-wrote and co produce was Patti LaBelle featuring Big Daddy Kane’s GRAMMY winning hit, “Feels Like Another One”. Venus Brown was signed to D’Angelo’s music label, Cheeba Music/Virgin. After the release of label mates Nikka Costa’s “Everybody Got Their Something” and D’Angelo’s “Voodoo”, Cheeba Music was eventually dropped from its parent label, Virgin Records and Venus decided to focus his talents on production and music directing. Venus became the musical director for Nikka Costa and toured with Nikka for three years. He also served as the first musical director for Mark Ronson who would later go on to receive fame producing Amy Winehouse’s classic album Back to Black in addition to his own chart topping smash, “Uptown Funk” featuring Bruno Mars. “Tar Baby”, Venus Brown’s debut album was eventually released on Boulevard Connection Records out of Copenhagen Denmark in June 2001. Venus partnered up with will.i.am and became the President and General Manager of will.i.am Music Group, helping to shape the multi-platinum Black Eyed Peas (BEP) album Elephunk spawning the hits including “Where is the Love, Let’s Get It Started and “Shut Up” which sold over 9 million albums worldwide. Venus’s executive collaborations also included BEP’s Monkey Business and The E.N.D. each selling over 10 million copies worldwide with the former selling over 2 million downloads in its first week. His creative input helped place the group on a whole new musical plateau of GRAMMY Award-winning success. 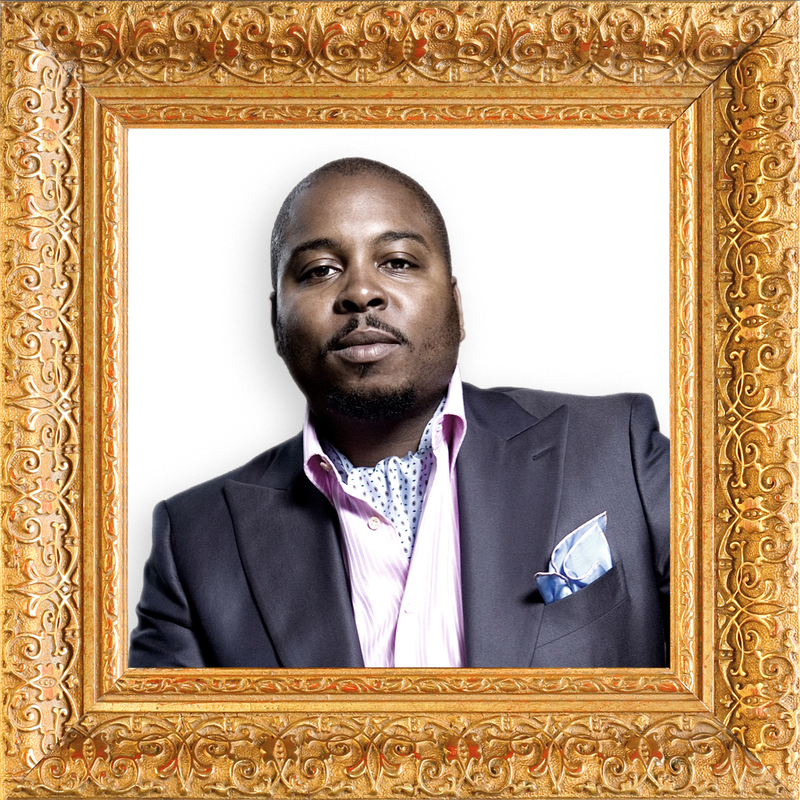 Brown later went on to co-executive produce Fergie’s multi-platinum debut album “The Dutchess” and has also managed the multi-platinum Grammy award-winning producer Timbaland through the success of his platinum album “Shockvalue”. During this time, Venus Brown and will.i.am Executive Produced the critically acclaimed “Timeless” album for Brazilian piano virtuoso, Sergio Mendes. “Timeless” featured a wide range of superstar guest performers including Justin Timberlake, Stevie Wonder, India.Arie, Q-Tip, Jill Scott, Mr. Vegas and John Legend, to name a few. Timeless spawned the hit singles “That Heat” featuring Erykah Badu and the second single, “Mas Que Nada” featuring The Black Eyed Peas. That song went on to be the theme song for the Brazilian national soccer team during the 2006 World Cup in Germany. After loosely working with him for a few years prior, Venus was tapped by Justin Timberlake to Co-EP and A&R his GRAMMY Award winning “FutureSexLoveSounds” which has since been certified as multi-platinum, selling nearly 20 million units worldwide. When the fashion and musical event Fashion Rocks hit one of the world’s greatest fashion hubs, Rio de Janeiro in 2009 Brown was asked to produce the musical direction of the televised special bringing together iconic designers such as Calvin Klein, André Lima, Marc Jacobs, and Donatella Versace along side musical superstars Diddy, Mariah Carey, Ja Rule, Grace Jones, Estelle, Ciara and more. In 2010 Venus entered a partnership with BMG as part of their senior executive roster, hiring A&R executives, and signing and representing some of the world’s most successful writers and producers, including Quincy Jones, Bruno Mars, will.i.am, John Legend, Rodney Jerkins, André 3000 of Outkast, and more. Through this union Venus initiated an innovative Producer Management division, 3B, providing a new service catering to managing careers of music producers and the administration of their producer income. Venus entered into a joint venture with Sony Brasil by signing, executive producing and managing Brazil’s only and biggest boy-band and the new driving force in Brazil’s youth popular culture, P9. With their debut album released in 2013 P9 has broken the VEVO Brazil record for most views within 24 hours, had two songs on major Brazilian soap operas, accumulated millions of followers across social media, and received countless recognitions including winning a Nickelodeon Kids Choice Award for Best New Artist and MTV EMA nominations. The original soundtrack for the motion picture Spiderman 2: The Rise of Electro featured one of P9’s songs and took the boy-band on tour across Brazil performing at all national movie premieres. P9 has opened up for superstars Justin Bieber and One Direction in São Paulo and Rio de Janeiro to hundreds of thousands of Brazilian teenagers. Venus’s creative and strategic influence extends even further into the world of technology. In 2013 Venus entered into a partnership with 3NOD Electronics in Shenzhen, China. Since its founding in 1996, 3NOD has been valued as a Shenzhen Top 50 Private Enterprise and an innovative industry leader manufacturing for brands such as Pioneer, Logitech, Lenovo, Acer, Puma, Jaybird, HMDX, and many more of the world’s leading consumer electronics brands. This partnership became Buddah Brown Electronics, which is positioning itself to become the leading global consumer electronics brand in its category. Buddah Brown Electronics’ core objective is to provide high quality products with innovative functionality, fulfilling the needs of users worldwide. Most recently Buddah Brown Electronics was recruited by the Republic of Uganda to create and manufacture 6 million tablets to be used in educational programs in the republic starting in 2016. The global all-business class boutique airline La Compagnie also recruited Buddah Brown Electronics to produce their exclusively branded, top-of-the-line headphones for in-cabin use. This exciting electronics venture has paved the way for further opportunities alongside the partnership with 3NOD, including the manufacturing of electronic products for will.i.am’s technology company, i.am Plus. Brown has also secured funding for i.am Plus from Bertelsmann, an international media company and parent company to BMG Chrysalis, RTL Group, Penguin Random House, and other core divisions in some 50 countries. This funding will pave the way for unprecedented possibilities within technology and music.